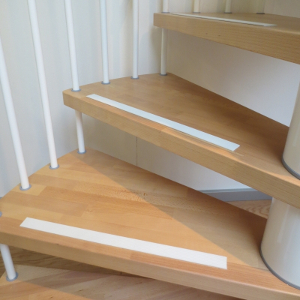 The non-slip self adhesive tape, made from special rubber, is available in four beautiful colors, for every staircase there is a fancy matching color. 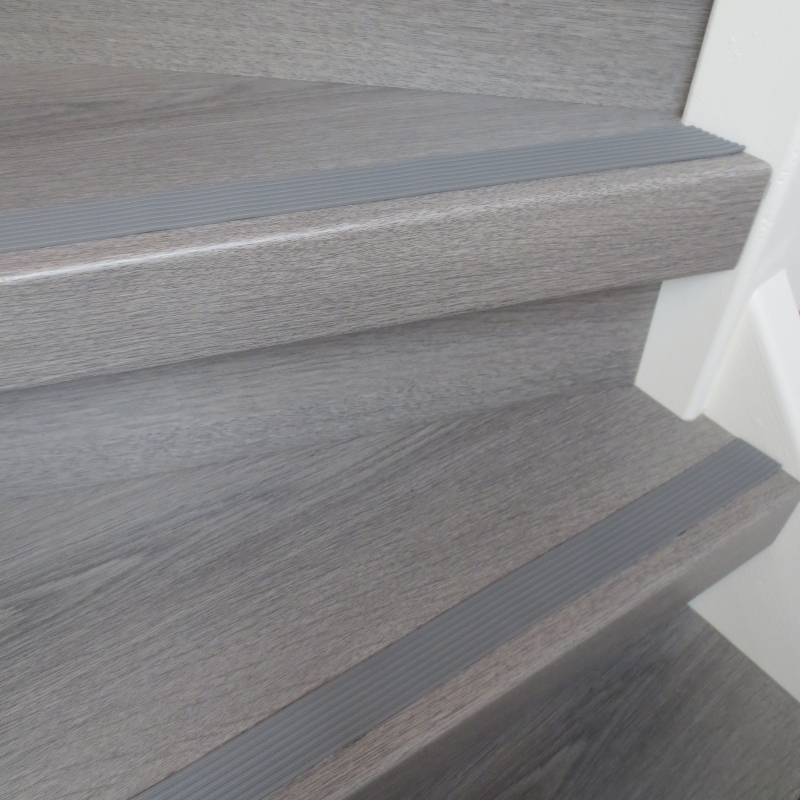 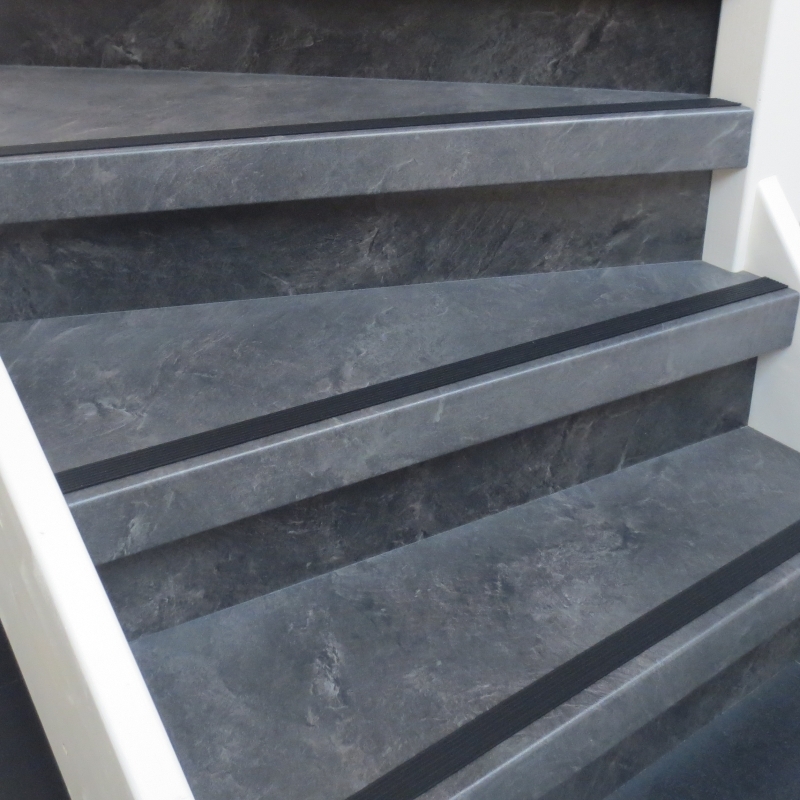 We have made a selection of pictures so you can get an idea of how the adhesive grip stair strips will look on your stairs. 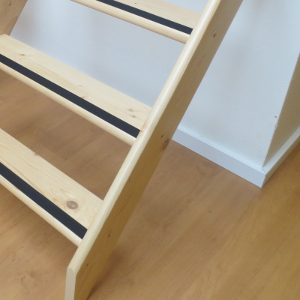 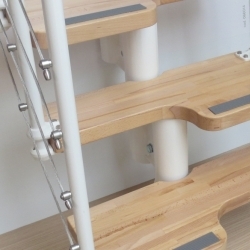 It's not only for a safe and secure stairs, but also to create a true eye-catching stairs in your home! 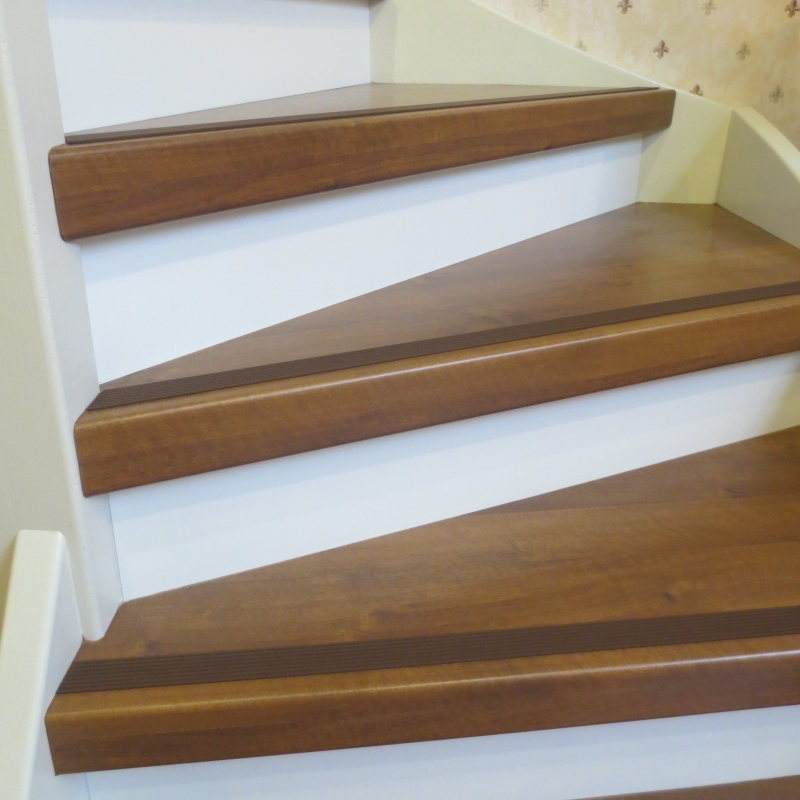 Never again will you or your children fall down the stairs and hurt themselves, plus you have a very nice and tight looking stairs. Curious about how to apply this beautiful strip on to your treads? Check out our application instruction video!